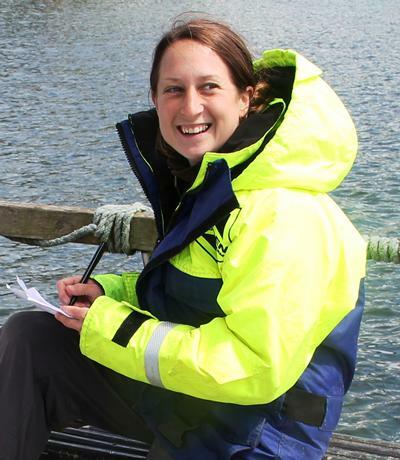 Studying at Southampton University gave me the opportunity to make my passion for marine ecology and the environment into a career. I chose Southampton partly because of its reputation as the best place to study marine biology/oceanography in the UK and partly because of the excellent facilities and staff. I chose Southampton partly because of its reputation as the best place to study marine biology/oceanography in the UK and partly because of the excellent facilities and staff. The course provided excellent grounding in the theory of marine science and I especially loved the being part of a university where cutting edge research was being done by my lecturers, some of who would come bounding into the lecture theatre to tell us about their latest find from the deep sea or about their recent cruise. Their enthusiasm made for an exciting learning environment and I felt supported throughout my time at university and since leaving. The course is really only part of what makes Southampton a great place to be at university as there are so many other things on offer to get involved in. I was quite involved with the university scuba diving club where I met many current and ex-students and lecturers and we had some great adventures as well as learning skills which I use in my job today. There were opportunities to take part in scientific diving and to assist with research projects. Immediately after my degree I worked for a local consultancy SeaStar Survey for a summer carrying out scientific dive surveys in the Fal Estuary. At the end of the summer I moved to London to do an MSc in Aquatic Resource Management at King’s College. With the support of my supervisor at Southampton I had applied for a scholarship and was lucky enough to be awarded a grant from the Natural Environment Research Council. As part of the MSc I did a three month summer placement at Black and Veatch which eventually led to a job as an Environmental Scientist. For nearly four years I worked on Environmental Impact Assessments including coastal flood alleviation, renewable energy, port developments and managed realignment schemes. I loved the project work but I wanted to do more survey work and this led to me joining Jacobs, a consultancy in Southampton, in 2011. I have been at Jacobs for two years now working as an aquatic ecologist. I love the practical part of my job which includes scuba diving surveys, fish surveys and rocky shore surveys. I am fortunate to be involved in projects where I collect the data, carry out the analysis and then compile the report. Doing a job in marine biology in the UK is just as exciting as abroad and I would thoroughly encourage anyone interested in this kind of career to look at Southampton. I have met and worked with so many people who have the greatest respect for this university and the courses and opportunities that they offer.